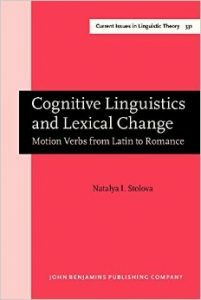 This monograph offers the first in-depth lexical and semantic analysis of motion verbs in their development from Latin to nine Romance languages ― Spanish, French, Italian, Portuguese, Romanian, Catalan, Occitan, Sardinian, and Raeto-Romance ― demonstrating that the patterns of innovation and continuity attested in the data can be accounted for in cognitive linguistic terms. At the same time, the study illustrates how the insights gained from Latin and Romance historical data have profound implications for the cognitive approaches to language ― in particular, for Leonard Talmy’s motion-framing typology and George Lakoff and Mark Johnson’s conceptual metaphor theory. The book should appeal to scholars interested in historical Romance linguistics, cognitive linguistics, and lexical change.